The Hatune Miku version of “Kumamon Dance” was released this month. 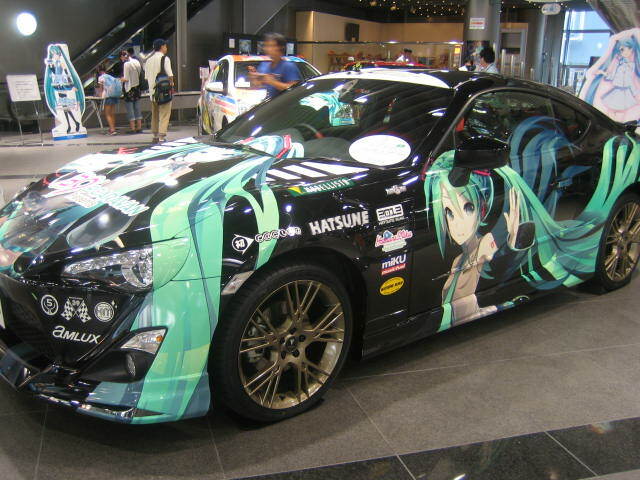 Miku just sings the theme song. I want her to dance with Kumamon. Kumamon is very good at dancing. His dancing looks very cute. I wonder who the man inside the stuffed suit is. For your information, Miku sings the song of Bon Dance Festival of Koshi City in Kumamoto. Additionally, Kumafes that I mentioned before will be held this year again. Kumamoto might be a unique place. The next performer was “Mito” impersonating Hatune Miku. She mimicked Miku’s dance moves. 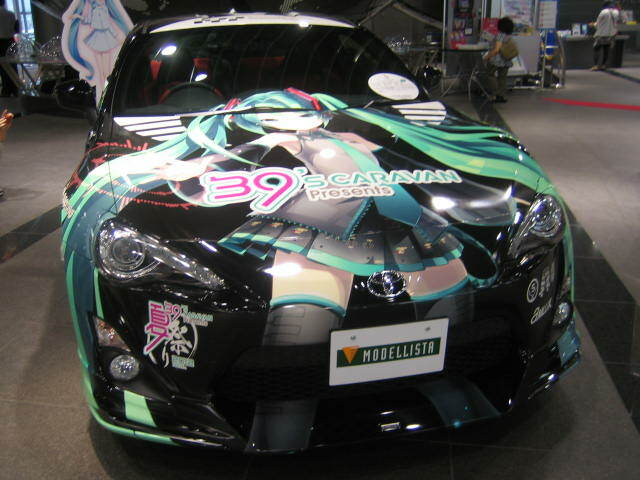 Hatune Miku is one of the vocaloid characters. 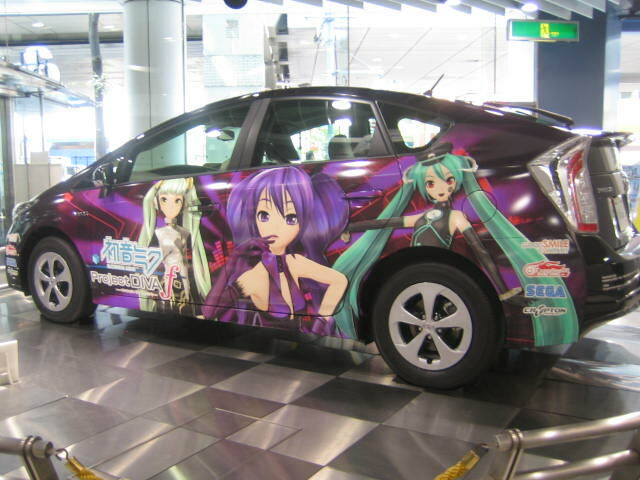 Vocaloid is a singing synthesizer program, which can create a natural sounding voice. 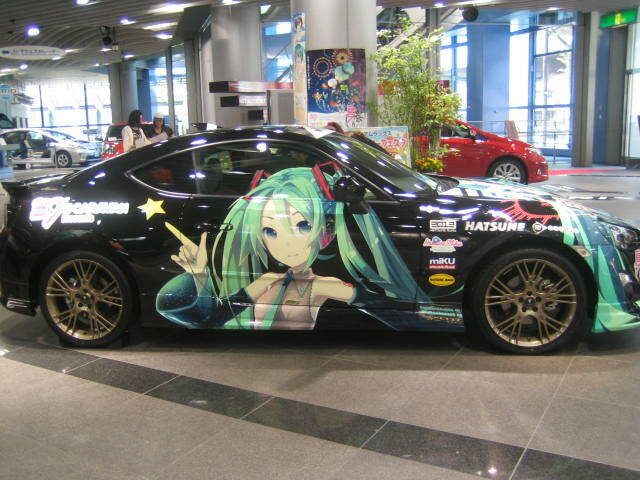 My daughter likes Hatune Miku very much. She prefers songs by synthetic voice to human voices. Hmmm strange. I know the feeling that people want to mimic her dance. I used to dance with my daughter, playing a Wii dancing game of Japanese songs. To get a good score, we waved, swung and shook the wii remote control to the beat of the songs. lol Furthermore, I wanted to dance to American music, so I bought “We Cheer”. But the reaction of remote control wasn’t as good as Japanese one. I wonder if the latest We Cheer has improved? Back to Mito, she was cute dressing up and dancing as Miku. I pasted the nice Miku’s dance video along with Mito’s one. I’m tempted to synchronize these videos. Doesn’t this video make you want to dance? Let’s dance! 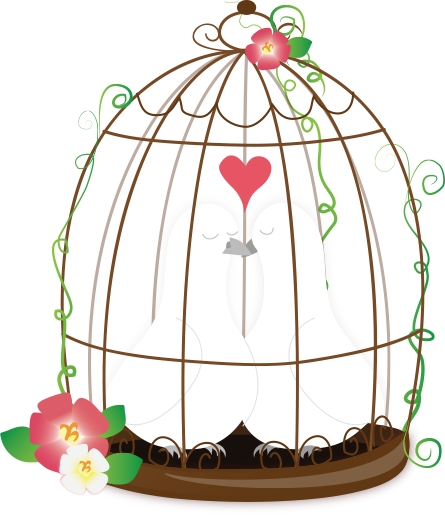 The memorial service for my husband’s mother was finished. I can finally enjoy the trip! My family refrained from traveling for 49 days! On the way home, my children and I spent several days in Tokyo while my husband stayed in Nagano for a few more days. The first place we headed for was “Ikebukuro” in Tokyo. 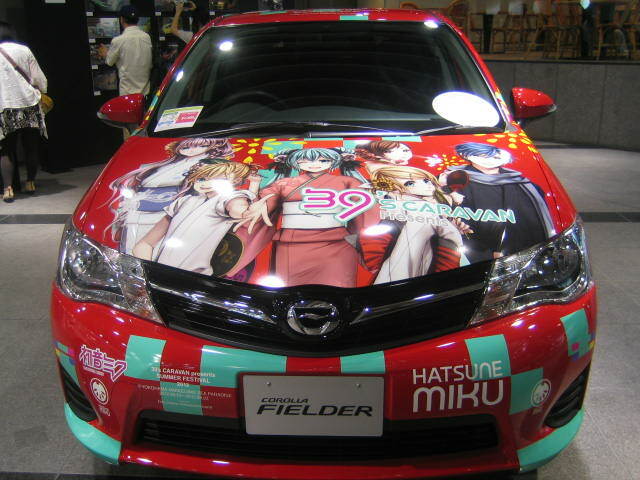 I hear that Ikebukuro is the Mecca of female anime fans. For your information, the Mecca of male anime fans is Akihabara. 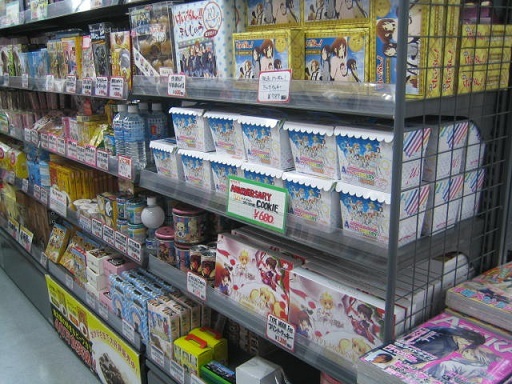 Many anime shops line the place called “Otome Road.” Otome means maiden. 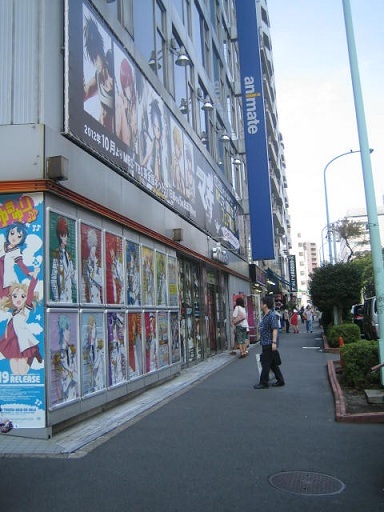 Out of these shops, the most iconic place is Animate’s main shop. 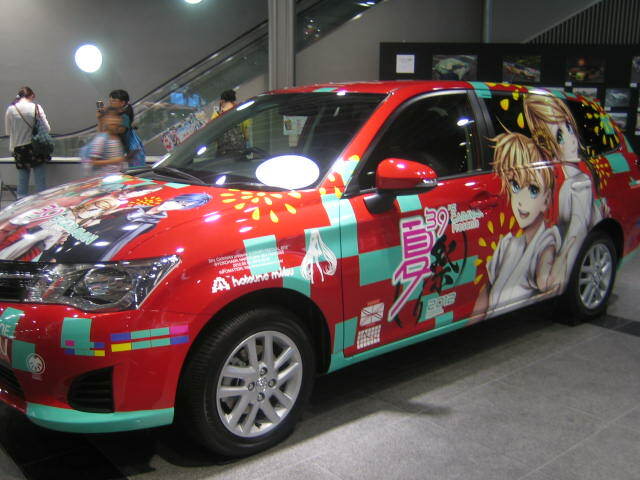 Animate is the largest retailer of products related to anime, games, and manga in Japan. *Note* Animate moved to another place in Nov. 2012. My daughter didn’t come out of the shop for more than an hour. She bought some stationery printed with her favorite anime characters. 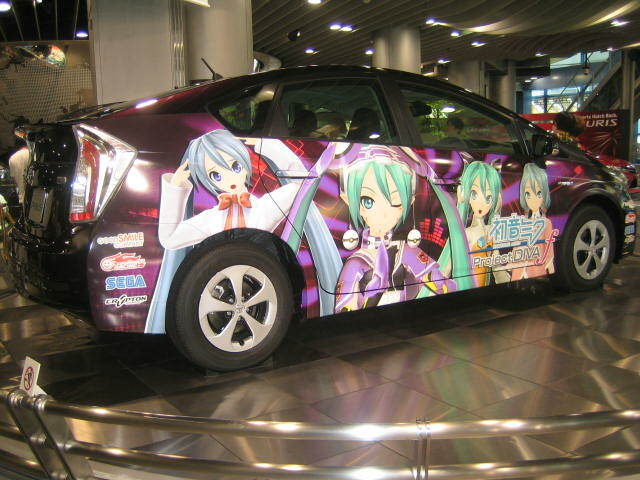 There was a Toyota showroom next to Animate. Luckily, several Itashas were displayed temporarily. 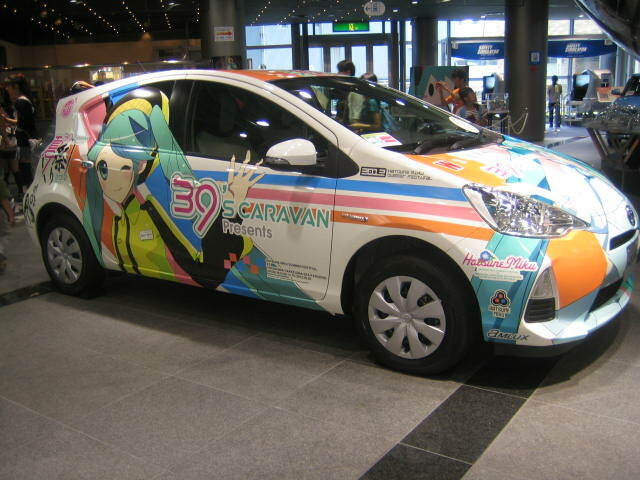 An “Itasha” is a car painted colorfully with anime characters. 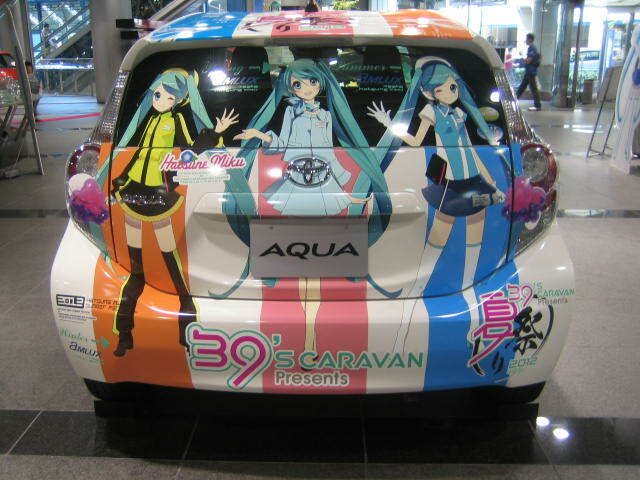 The displayed cars were covered with Vocaloid characters that my daughter loves, such as Hatsune Miku. What do you think of these cars? I think they are cool, but I don’t want to own one. They stand out too much. I’ve seen Itashas running on a public road twice. TOYOTA86 Several men were taking pictures with enthusiasm. This car must be hot! We left Ikebukuro and headed for the next place which is very famous. Take a guess! My daughter loves ‘manga’ and ‘vocaloid’. She has been listening to the song ‘Koino ABO’ these days. Since this song has a kind of old tune, it sticks to my ear. Japanese group ‘News’ seems to have been singing the original song around 2009. Then Gintama lovers created this filksong. Although they aren’t professional singers, the group has enthusiastic fans.